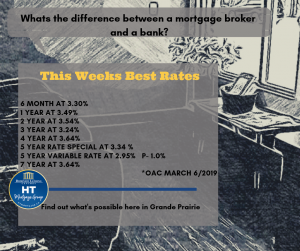 What’s the difference between a broker and a bank in Grande Prairie? Choice! Your mortgage broker will help sort through a variety of lenders, to find the lender that suits you best. Different lenders will accept different types of income, have different underwritting policies or different ways of lending. And of course, since we work for you, not the banks – we negotiate a better mortgage rate for you. Have you ever gong to a bank for a mortgage and heard, ” I’m sorry your dream home is out of reach given your income?”. Although you might be out of luck at that bank, it doesn’t mean you should stop trying! There are a variety of incomes that some banks will not use to qualify you for loans. Child tax benefit, rental income, vehicle allowances are just a few types of incomes that not every lender will accept. Let’s look at rental incomes. 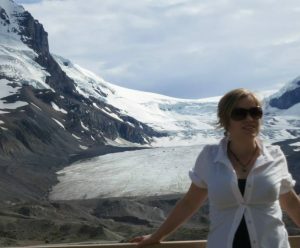 My Home in Grande Prairie has a $200,000 mortgage, so $1250 a month, and I have a lease for $1800 a month. Lender 3 – Only considers rental income as a valid income with two years history of rental income on T1 general tax documents. You have a good accountant who has made it possible to record a capital loss both years. Averaging out the rental income reported to the govement over two years…. Net rental income $-100 a month. Given a choice rental property owners would choose Lender 1. “But how do I find out which lender has the best rental income formula?” Well that’s where calling your broker comes in. We spend all week, week after week understanding and learning which lender is best for various situations. Your banker… may be able to expain how they calculate rental income, but they will not have any indepth or accuate knowledge on how the competitors calculate rental income. So call a broker, they specalize in this sort of comparision. 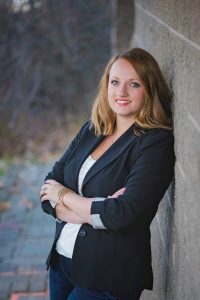 Truthfully there are very lenders who will accept child tax benefit income, but if you need just a little more income to qualify for that dream home we know of a couple that lend in Grande Prairie. The same applies to how much overtime you can use to qualify, or if you can use a vehical allowance. Not every lender accepts ever income type, so trust your broker to find a lender that maximizes and makes use of multiple income sources. Fixed Rate or Variable? Reverse mortgage or a Home Equity Line of Credit? Manulife One account or a flex down mortgage? Interest Rate adjustible Penalty or three months interest? Open mortgage or closed? Portable? Able to end mortgage term without fee’s if I’m dead? The Canadian mortgage space has many unique products. One great example is the CHIP Home Equity Reverse mortgage, which can help lower income seniors solve cashflow issue’s. (A senior with lowered income may not qualify under normal refinance programs.) We also have access to flex-down mortgages which can allow a portion of your mortgage to be interest only. Ideal for rental property owners trying to lower borrowing cost’s in the short term. Cost of Buying a Home in Grande Prairie? Any hidden fees? 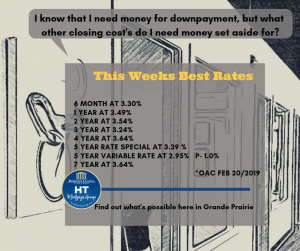 This week I will talk about the cost of buying a home in Grande Prairie. 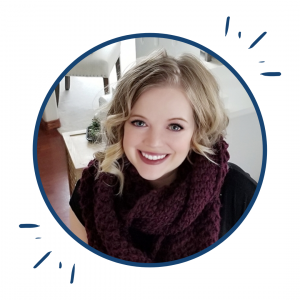 Although I bought my home back in 2015, I’m lucky enough to work with new mortgages and purchase’s everyday here in Grande Prairie, so this will be as detailed as I can give you. Here’s a breakdown of what I spent. I’ve signed the purchase agreement for my new home here in Grande Prairie. My mortgage broker has verified that I have enough downpayment but…. “What other cost’s should I expect when buying my home? First I’ve called a lawyer for a quotes. I would expect legal fee’s for a home purchase to run around 0.5% of the purchase price. So $250,000 home x 0.05% = $1250. A $500,000 home will have a cost around $2500. This will vary between lawyers so call for quotes! My lawyer will help me purchase title insurance, $160 for a $250,000 home in Grande Prairie, and roughly $300 for a $500,000 home. My current home insurance policy costs me $120 every month. You are required to have home insurance to get a mortgage. So expect to pay between $120 to $220 a month on homes priced between $250,000 to $500,000. Another insurance to get is for your personal protection- life & disability insurance. For me on a $250,000 home Life Insurance was $17 a month, and disability was $37 a month. These rates will change based on your health and age. I was 25 and darn healthy. This was an expense I never expected for my first home. You move into your lovely new house and then slowly realize…. I need a broom, kitchen scrubs, rakes, shovels! you need dish towels, disk racks, spoons, tea kettle, spices…. It adds up. If you can try to negotiate for “Backyard Shed including contents” to avoid having to buy yard supplies. I’ve never seen a purchase agreement negotiate for the cleaning supplies closet to be left fully stocked, but I would have saved so much. As well,Budget another $500 to stock your house up with all the cleaning supplies, brooms, mops, linens, pot and more that a house requires. You could of course spend way more than this…. Try to hold off purchasing the diamond crusted broom till month two. This… you can spend so much on furniture so quickly! The most subjective cost out of all the categories. My best advice is take it slow. Enjoy the freedom of having no furniture. Being minimalist is very chic for 2019. Budget $500 for the first two months and see how far you can stretch it. Don’t go out and buy all new furniture with a monthly payment plan. Wait a year. Start calling at least two weeks in advance before your move-in date to get your services set-up. Start planning for the future. Now that you own your home, 10 years down the road you’ll need a new roof/fridge/hot water boiler/ new deck. Try to put aside $1000 a year to cover future repairs. One day you will need to replace the roof/ repaint the deck/ buy a new furnace / update the windows. Plan and set the money aside in advance, future you will be happy. Appraisal $200-$400 – not always required for a purchase. To Furnish your home – $500 & be strategic for the first two months. Getting a home is a big investment, and a major change to how you’ll budget and spend your money. For myself having a place of my own to decorate and host at was always worthwhile. If this is starting to seem like too big of expense – We live here in Grande Prairie! Our rental market is thriving, and people are always looking for a room to rent. Rent a spare room out and net $600 a month. I’m renting two rooms for $700 a month right now in my house. PS: please send me an email or message me on Facebook if you’d disagree with these numbers for a $250,000 home in Grande Prairie. Or if you think I’ve missed any of the cost’s associated with owning a home! 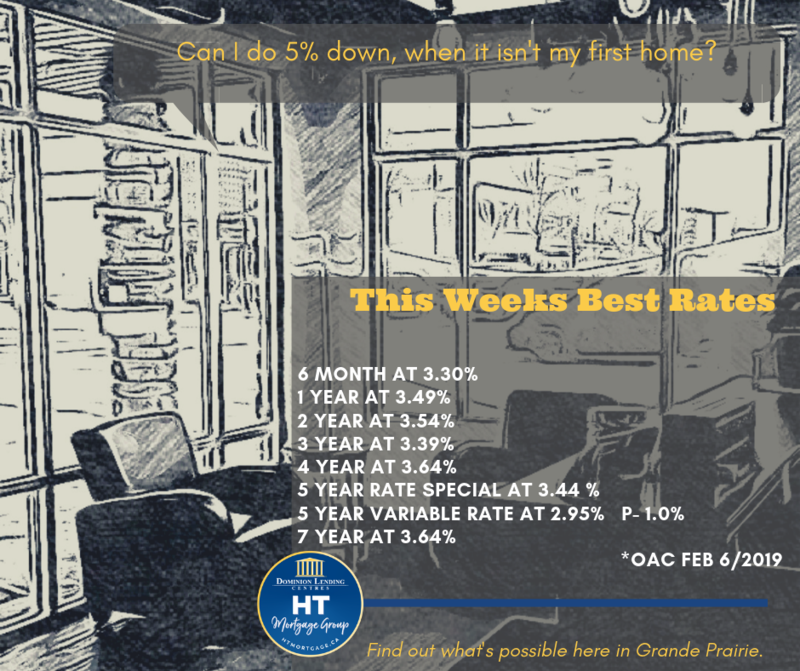 It’s Mortgage Rate Wednesday again! 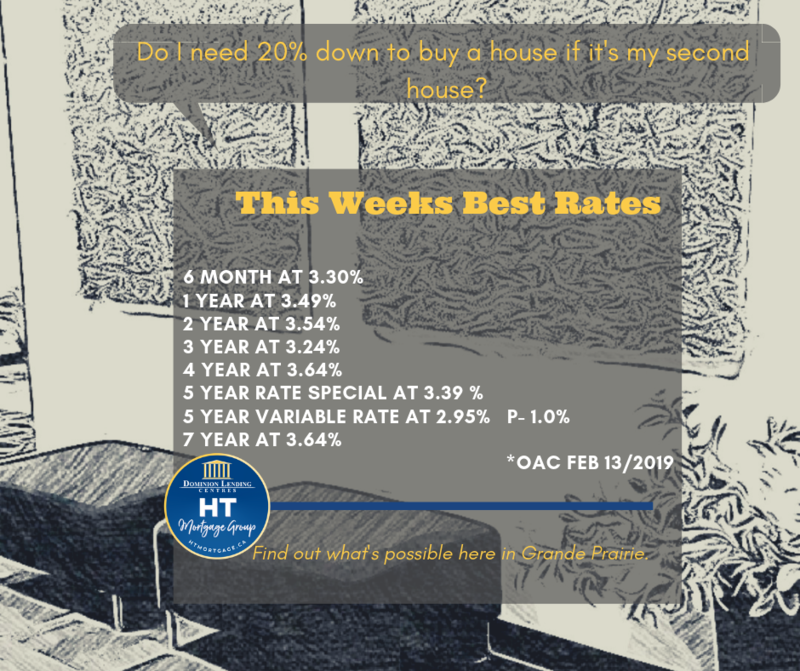 Here I update our best available rates, talk about our beautiful city of Grande Prairie and answer some common homeowner questions such as buying a second home. 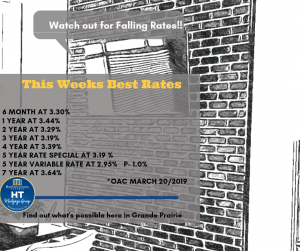 Alberta Mortgage Rates for Feb 13, 2019. Do I need 20% down to buy a house if it’s my second house? How do you classify a second home? Here’s a couple of scenario’s. Why are you buying a second house? Which of these situations describes you best? Buying a Second home after selling my first home? 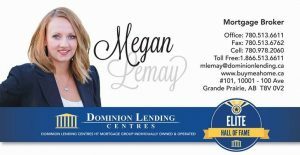 Buying a home here in Grande Prairie after selling your first home? Then this is considered your new primary residence. We can do 5% down. All lenders will let you do 5% down on a family home. So if you want to purchase college condo or home for your kids, give us a call. If you plan to live in this home, then 5% down. As a rental property, you’ll have to put at least 20% down anywhere you purchase it in Canada. Repeat those Alberta Mortgage Rates? Give us a call today to get a mortgage started for your second home! This time of year, there are a few less mortgage’s being done- not many people want to move into a new home in the snow. 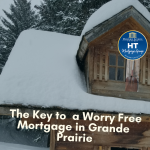 But if you want to get a worry free mortgage done in Grande Prairie, this is a great time to be shopping. 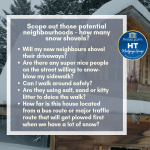 Scope out those potential neighbourhoods – how many snow shovels? Will my new neighbours shovel their driveways? Are there any super nice people on the street willing to snow-blow my sidewalk? Can I walk around safely? Are they using salt, sand or kitty litter to de-ice the walk? How far is this house located from a bus route or major traffic route that will get plowed first when we have a lot of snow? My top tip? Scope out that neighbourhood right after it snows – compare early morning snow levels to slightly after work snow levels. In some neighbourhoods like Hillcrest here in Grande Prairie, you can drive around and count how many people have shovels ready near their front door. 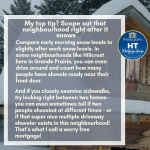 And if you closely examine sidewalks, try looking right between two homes – this can tell you if two people shoveled at different times – or if that super nice multiple driveway shoveler exists in this neighbourhood! That’s what I call a worry free mortgage! What? You need more than just good neighbours with shovel’s to have a worry free mortgage? You want the best interest rate, or to confirm that you’ve got a mortgage that let’s you pay it off faster? Well a local mortgage broker will help with that. Give us a call to get those details in place! But really guys – in 2018 Grande Prairie had 49 inches of snow in December and another 49 inches of snow in March – trust me – a worry free mortgage is all about the snow shovels. Now I’m a big fan of the tiny home movement. I think that simple lifestyle, so minimalist is… very tempting. The only real problem is that there is a disturbing lack of tiny home developments up here in Northern Alberta! I’ve posted the article on another blog for today, but wouldn’t it be amazing if we could get a tiny homes community going here in Grande Prairie too! Financing a tiny home has some challenges. Here in Canada, most Tier A lenders (The big banks) want a single family home to be a minimum of a 1000 square feet, before lending. Lenders assume a smaller home is a cheaper, older home, with few upgrades. So how are people getting tiny homes built if financing is so difficult? Well, this is what our friends in Calgary did. Tiny homes, the 200-300 square feet version’s are fairly cheap to build. Fundraising enough money to build several little homes in a community format work’s well, and a normally sized plot for one home can support several tiny homes. This option is hard for most of us dreaming minimalist though. I want to live in a tiny house…. not just help build them! Most city’s have these pesky things called bylaws. They tell us the minimum size our house should be, what the proper ceiling height is, and how large windows need to be for fire code. For our safety, or so that all of the homes look nice and uniform… these bylaws make it difficult to find a place to build your tiny house! Some developers and tiny home enthusiast’s have gotten around this by declaring their plot of land mobile home parks. If a tiny home is built on a trailer, different bylaws apply that are more favourable to a small home. Why build just one tiny home, when you can build a community? Grande Prairie’s rental market has less than 1% Vacancies right now. (July 2018) A carriage house is a garage with living quarters, and that is something we can finance or refinance into your existing mortgage. So maybe you just design a garage that can be easily converted into a tiny home! The downside is your sharing your lot, but you get to live in a tiny home, and have rental income! Later on, if you find the tiny home lifestyle isn’t as grand as you thought, you can always move back into the main house. Or move your kids into the tiny home. One day maybe! Now Calgary and Vancouver each have several bylaws designed to allow tiny homes in various communities throughout these two cities! In the meantime, give our office a call to discuss options that may work for you! I love working with first time homebuyers because I enjoy taking the time to educate clients on the process. I’ve been licensed to do mortgages since May 1999, so I’ve built up a lot of knowledge to help homebuyers. 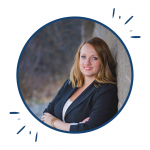 Sometimes working in this industry it’s easy to forget that most people don’t know the basics when it comes to mortgage financing; that’s where I come in. I do a free class on Grande Prairie Mortgage Basic’s. If you think you might want to buy your first home in the future call me so we can set up a mutual time to get you pre-approved! You’ll have a completely free lesson in steps you can take now to be prepared to buy the home of your dreams in the future. There is really not a reason to wait, it’s a no pressure, free and educational process. I would love to meet you!